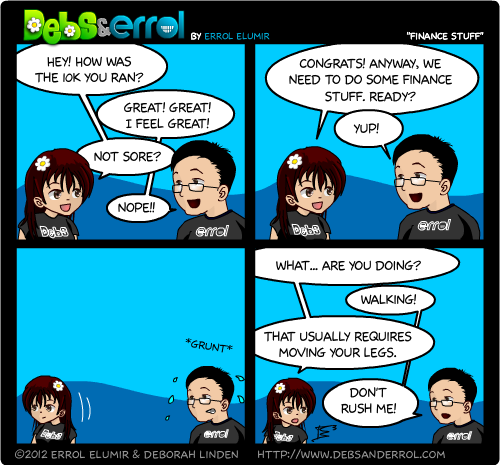 Errol: I … am … so … sore… I did tweet the whole race though. I should compile that. Debs: The stairs were the funniest part. We really should have gotten video of you walking down the street.